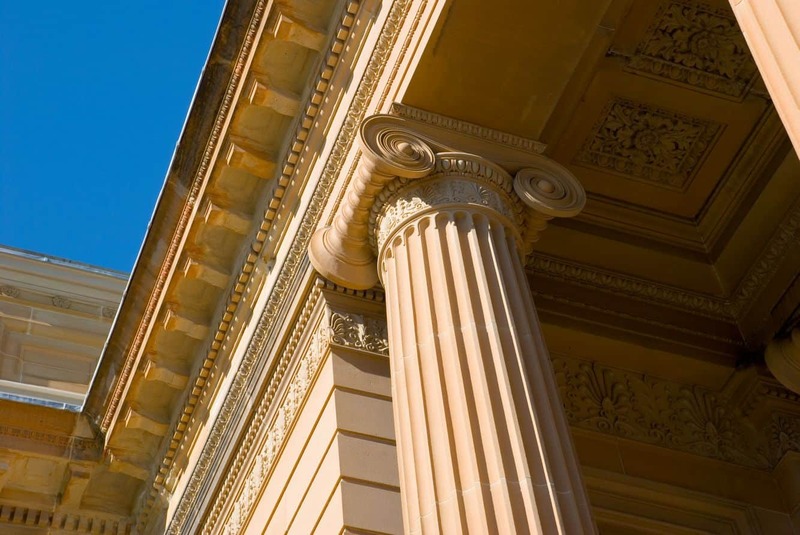 The Art Gallery of NSW is one of the country’s leading art galleries that is home to a vibrant collection of art pieces from Australia and different parts of the world. 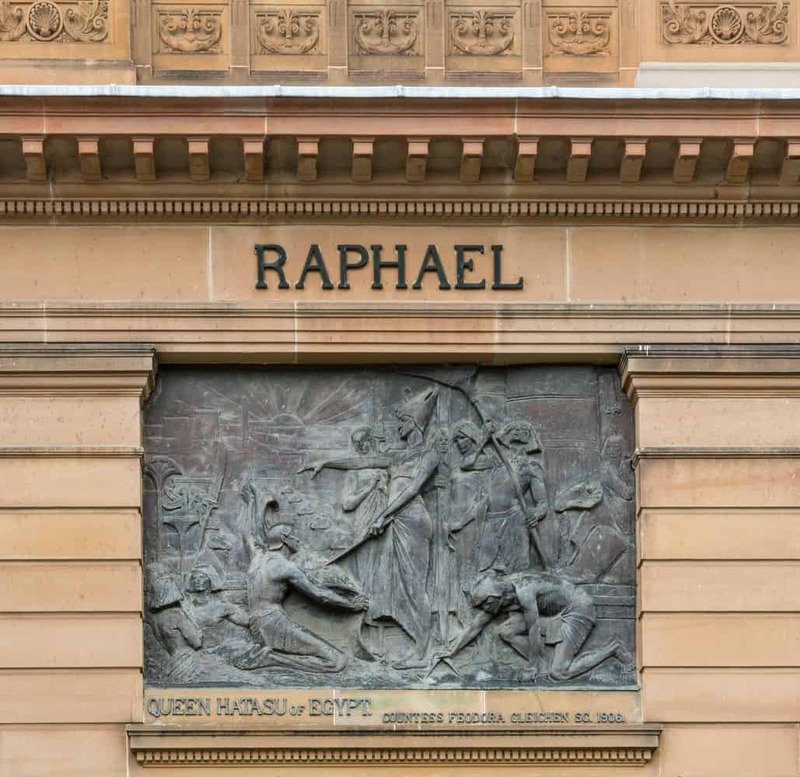 This gallery is the most important public gallery in Sydney, and one of the biggest art galleries in Australia. The gallery was established in 1871 and the collection consists of modern and contemporary works that are displayed in an ambient environment. The expansive light-washed spaces provide a remarkably beautiful background against which visitors can enjoy some of Australia’s finest works of art. Move on to the majestic Grand Courts that are home to a collection of art works from the colonial era. Here, you will find art pieces that date back to the 19th century, and these are inclusive of both Australian and European works. 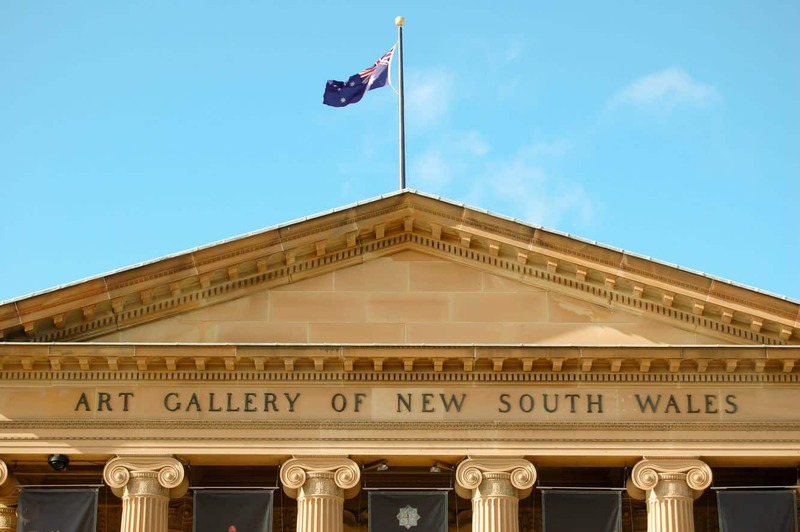 Visit the dedicated galleries that showcase works of art from Asia as well as cultural pieces from Aboriginal and Torres Strait Islander artists. The gallery also regularly holds temporary exhibitions to celebrate arts and culture from all over the country. With more than 30 temporary exhibitions annually, it is easy to see why this gallery is a must visit for anyone who appreciates art. 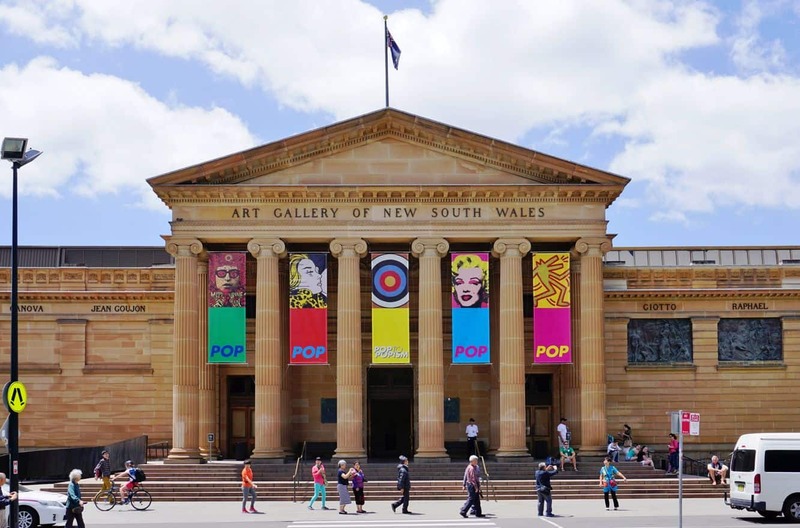 As one of the most iconic art destinations in the country, the Art Gallery of NSW is also an incredible place to enjoy music, live performances and films. 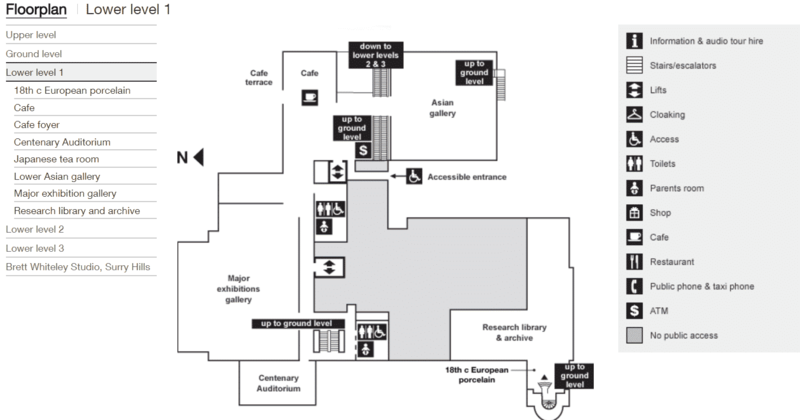 You can enter the permanent exhibitions at no charge, however a fee is charged for special exhibitions. Prams and wheelchairs are permitted inside the gallery and there are a limited number of free wheelchairs and mobility scooters available for use. 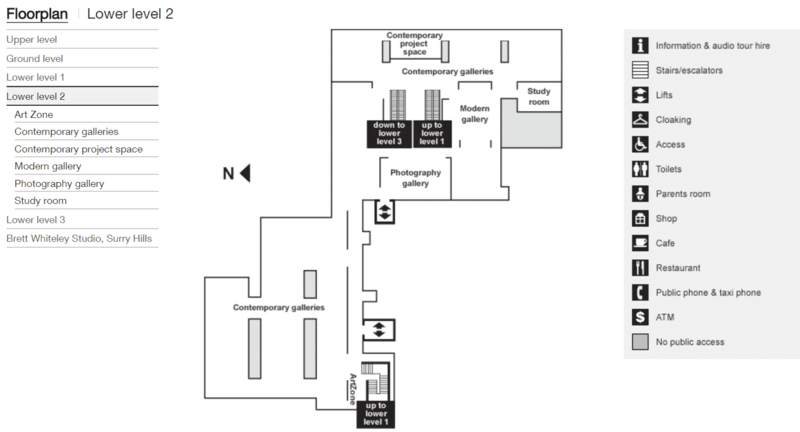 There is also a cloakroom and please note that food and drink is not permitted inside the gallery space. 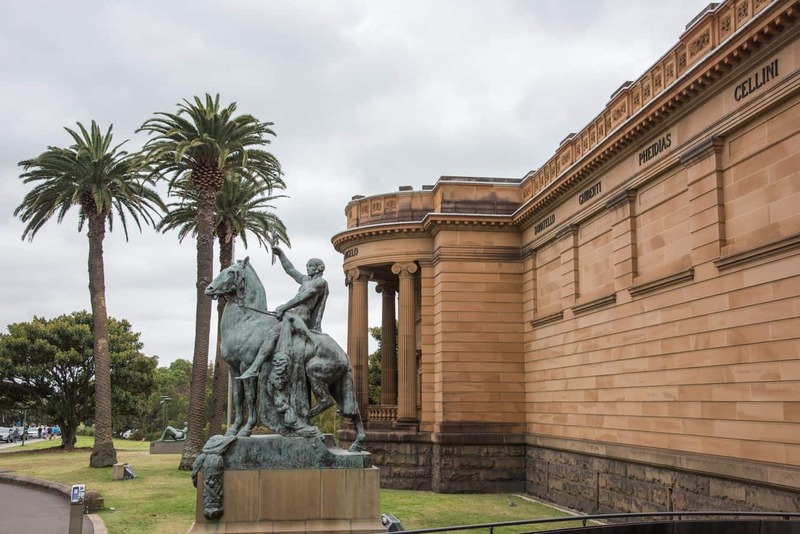 The Art Gallery of NSW is located on Art Gallery Road in Sydney, right next to the Royal Botanic Gardens. 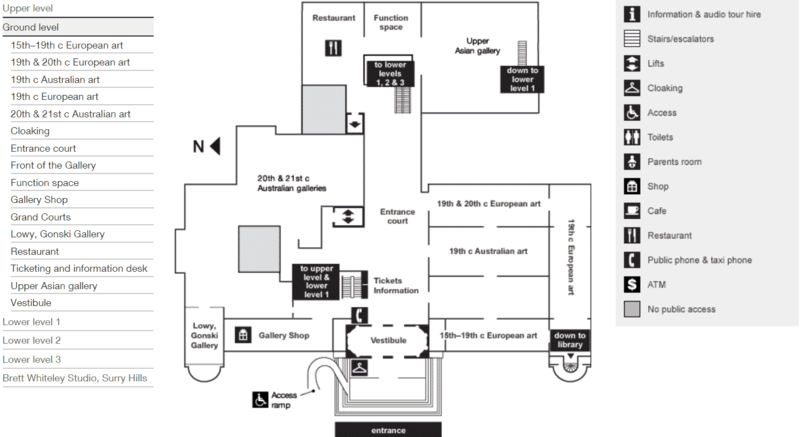 You can take a short, 5 minute walk to the gallery from Macquarie Street, across the Domain, or from Hyde Park. Alternatively, catch the 441 bus which departs from the York Street side of Queen Victoria Building. Alternatively, you can catch a train and alight at either St. James Station or Martin Place station, which are both a short 10 minute walk.